That’s the pact you made. She’s always had it all. If you could take it for yourself . . . would you? Caroline England’s new psychological thriller is brilliant, twisty read. Fantastic story, full of twists and turns. Love the family element, and the secret world of school friends. Things are not always as they seem! The story revolves around two school friends, Jo Wragg and Kate Bayden-Jones, and their respective partners and family. It’s told from the perspective of Jo, and flicks back and forth between the schooldays of around 30 years ago and the present day. The two girls go off to boarding school when they are young. Coming from totally different backgrounds they are roomed together and become best friends. Jo, from a newly rich family and Kate from old-school wealth. Jo is self-conscious about her background, forever known as ‘the ragamuffin from Barnsley’. Kate is posher, her Mum sending food parcels with ‘treats’. Are there are secrets lurking that could destroy the friendship? Things start to be revealed to the reader, and you start to wonder. Do we ever really know our best friends? I mean really know? Even though they’ve known each other all these years there are things they certainly don’t know about each other. Big, massive, huge things! This totally drew me in and I couldn’t put it down. I highly recommend it, tense, disturbing and very clever. I loved the ending…oh yes, get in!! Born Yorkshire lass, Caroline studied Law at the University of Manchester and stayed over the border. Caroline was a divorce and professional indemnity lawyer and instigated her jottings when she deserted the law to bring up her three lovely daughters. Caroline has had short stories and poems published in a variety of literary publications and anthologies. Her debut novel, Beneath the Skin, known also as The Wife’s Secret, was published by Avon HarperCollins on 5 October 2017. Her second novel, My Husband’s Lies, followed on 17 May 2018 and became a Kindle top ten bestseller. Her two-book deal with Piatkus of Little, Brown Book Group, includes a “dark” psychological thriller called Betray Her, centred around a toxic friendship and a destructive love triangle. It will publish in March 2019. Today it’s my stop on the blog tour for Tanya Bullock’s new release, The Lonely Hearts Crime Club. Thank you to Stephanie Zia at Blackbird Books for the invitation to take part, I’m delighted to do so. A really interesting book with chapters told from the perspective of four very different characters living in a tower block in the Midlands. It covers mental health, physical/health problems, alcoholism/addictions and learning difficulties. It also shows the work of social services and the problems people can encounter in social housing. Aggie a resident of the 19th floor is brutally attacked and left for dead. Her neighbours from the 19th floor are, Ella, a pregnant alcoholic who has only just moved in, Birdie, a failed actress and Ethan, a film-maker and cameraman. William is a vulnerable youth from the ground floor, living on his own for the first time. Then there is Ted, a social worker who has clients in the tower block. An oddball with some dodgy behaviour and who knows client secrets. None of the residents really know each other. They didn’t know Aggie had been attacked until someone realised the dog had been whining for a couple of days. They all heard and saw various things the day she was attacked and didn’t realise these things could have significance until they got together in their search for answers. As the perspectives of each of the main characters are told, their stories start to overlap and it all gets very interesting. I felt the loneliness, vulnerability and fear of the characters reach out from the pages at times, but as a foursome they gained strength. Ella especially was quite driven to piece together the clues. A very satisfying book. Beautifully written. Easy to keep track of and a great conclusion. Thanks to Blackbird Books and the author for the review copy in which I give my honest opinion. An elderly resident of an inner-city tower block is brutally attacked and left for dead. Her neighbours, a pregnant alcoholic, a vulnerable youth, a failed actress and a cameraman with a dark secret, are thrown together in their search for answers. Misfits and loners, they are forced to confront uncomfortable realities about themselves and each other, as their investigation leads them towards the shocking finale. A rattling good mystery by the award-winning film-maker set in a Midlands social housing tower block. Tanya Bullock is a college lecturer, writer and award-winning filmmaker. She lives in the UK with her husband and two young children. She has a passion for foreign culture and languages (inherited from her French mother) and, in her youth, travelled extensively throughout Australia, America, Asia and Europe. As a filmmaker, she has gained local recognition, including funding and regional television broadcast, through ITV’s First Cut scheme, two nominations for a Royal Television Society Midlands Award, and, in 2010, a Royal Television Society Award in the category of best promotional film. On maternity leave in 2011 and in need of a creative outlet, Tanya began to write That Special Someone, the story of a mother’s quest to help her learning-disabled daughter find love. It was a finalist for The People’s Book Prize and The Beryl Bainbridge First Time Author Award 2016. Her second novel, Homecoming, a love story with an unexpected twist, was published in 2016. The Lonely Hearts Crime Club is Tanya’s third novel. A psychological thriller with a shocking finale, it will be published in the spring of 2019. All Tanya’s novels are published by Blackbird Digital Books. Amazing Grace by Kim Nash @KimTheBookworm #AmazingGrace @HeraBooks A whopping 5* for this beauty! Now she’s a single mum to Archie, trying to find her way in life and keep things together for his sake. Saturday nights consist of a Chinese takeaway eaten in front of the TV clad in greying pyjamas, and she can’t remember the last time she had a kiss from anyone aside from her dog, Becks. Grace’s life needs a shake up – fast. So when gorgeous gardener Vinnie turns up, his twinkling eyes suggesting that he might be interested in more than just her conifers, she might just have found the answer to her prayers. But as Grace falls deeper for Vinnie, ten-year-old Archie fears that his mum finding love means she’ll never reconcile with the dad he loves. A funny, feel good romance about finding your own path and changing your life – readers of Cathy Bramley, Jill Mansell and Josie Silver will love this uplifting read. Kim the Bookworm is Kim Nash the author!! OMG I absolutely loved it! It had me in tears several times, happy tears too, just so touching. Beautifully written from the heart. I was so looking forward to reading this book. 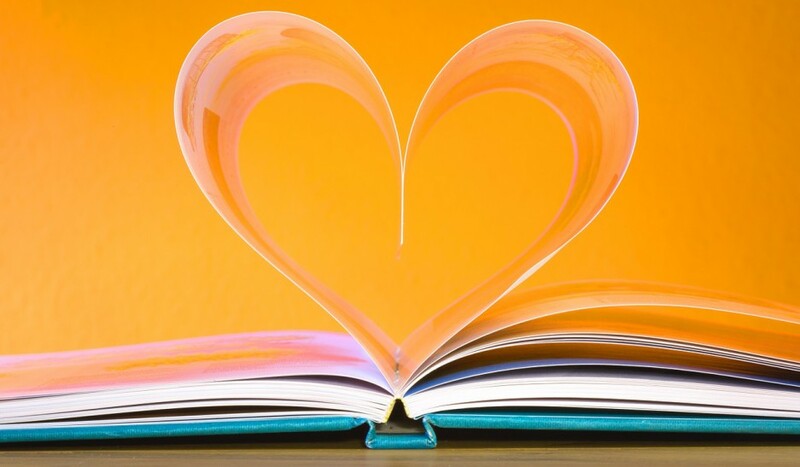 I love Kim as a blogger and she shouts from the rooftops about books, sharing the booklove. I knew it would be fabulous from the start. Totally hooked me in. I felt like I was reading about myself at times, especially with all the household things to do and not being able to relax. Firstly let me say that I need ‘a Monica’ to come and sort out my wardrobe and give some guidance, just as she did with Grace. I loved their relationship, just up-front with each other they made me laugh so much. Monica wasn’t much of a matchmaker though! Grace’s son Archie was a little star. I loved the football part, as a Mum with a son it’s something I can relate to. And of course Becks the dog. Another thing I can relate to being a working and dog-owning Mum. Vinnie was a proper hunk, and Grace getting to know him and his family was just lovely. Her ex, Mark, was trouble and being awkward, trying to upset her plans. What touched me most were the words spoken by her Mum, totally had me in tears. Her Mum would be so proud of her. It is just so beautifully written and I finished the book on my lunch break, snivelling in my office….happy tears though. It is a funny, romantic and emotional read and I can’t recommend it enough. Thanks to Hera Books and NetGalley for the review copy in which I give my honest opinion. With the setting in the Sussex countryside, I felt the heat of the unseasonably warm Spring. The author’s descriptive writing took me into a world gone by. I loved the details of the war years. I loved the horsey side of things too. Rose (Bunch) Courtney’s childhood home, Perringham House, has been taken over for the war effort. Bunch and her grandmother and staff are living in the Dower House. There is a hierarchy of diplomats, military and civilians. Bunch and her sister Dodo witness a horrible death in the pub on a busy market day. She receives news that an old friend’s father has died a similar horrible death, looks like poisoning. Could they be connected? With further deaths the locals get twitchy. Bunch is again the amateur sleuth along with Chief Inspector Wright. Bunch keeps her eyes open and her ear to the ground, pursuing the locals for any gossip which may shed light on the goings on. There were plenty of twists and turns in this murder mystery. I usually read fast-paced crime fiction set in the present day, so this was different for me. I really enjoyed it. I loved the cover design! Thanks to the author for the review copy in which I give my honest opinion. If your heart is warmed by Jenny Colgan, Lucy Diamond and Josie Silver’s One Day in December, you’ll fall in love with this beautiful feel-good story about finding love when you least expect it. After losing her Dad, Lizzie has a mad moment and buys the dilapidated windmill her Dad had always admired. She ups sticks and lives in a caravan on-site while the renovations are being done. She is single and works from home so it’s ideal for her. Her family think she is bonkers though. We get to meet her family, Mum, sister and brother. And her lovely stepmum. There are many ups and downs between them all. Many touching and emotional scenes which the author writes so beautifully. There is instant attraction with Jude, her nearest neighbour. Things move quickly but it isn’t plain sailing as his ex always seems to pester him at a crucial moment! I loved the renovation of the windmill. I could visualise it so well that I wanted to help with the decoration and finishing touches. The surrounding countryside made me want to live there, the village life seemed perfect. The characters were really likeable (well, mostly!) and all had good depth. It made me interested in their lives and what was going on. An easy and enjoyable read, I’d recommend it. If you’ve not read any books by this author, why the heck not?! Read one from the ‘From Italy with Love’ series, or the ‘Honeybourne’ series…you won’t regret it! Thanks to Bookouture and NetGalley for the review copy, in which I give my honest opinion. Today it’s my stop on the blog tour for Her Best Friend’s Secret by Anna Mansell. 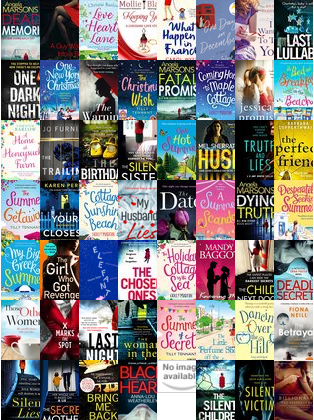 Thanks to Noelle Holten at Bookouture for inviting me to take part. I will be shouting from the rooftops about this fantastic book. My Thoughts – I loved it! I’ve loved Anna Mansell’s previous books, but this is my favourite so far. Four women with very different lives. Shows the importance of friendship, the difficulties faced with forgiveness and dealing with judgement. It made me happy, sad and totally overwhelmed at times….a few ‘oh my god’ moments. I finished this book with a tear in my eye. Every book by this author affects me massively and I always see a bit of me in her characters, especially in this book. Reconnecting with old friends is brilliant, but can be tough. They know things about you that even though they may not be bad things, they can be things you want to keep in the past. I don’t want to give anything away and waffle on for the sake of it, but please read this book. It is wonderful with great characters and written from the heart. Thanks to Bookouture and NetGalley for the review copy in which I give my honest opinion. She deserves the truth. But it will ruin her life. What would you do? In summer, the small Cornish village of Gorran Haven fills with tourists, but in the colder months its pretty narrow streets are blissfully quiet, the bell on the village shop door rings only for locals, the beach is unspoilt, empty and safe. It’s been over twenty years since four very different teenage girls sat on that beach, and swore to be best friends forever. Their lives went different ways after Emily left. But each remembered that promise. And none truly found friendship like it again. Now, Emily’s back, with a secret she can’t face. She tries to hide away, take time to heal and make some difficult choices, but she runs into one of her old friends, and soon the four are reunited. Lolly, warm as ever, is a successful physiotherapist, married with kids. Yet smart, strong Amanda, who cherishes her teenage daughter, is alone and seemingly stuck in a dead-end job. And creative Jess is so much quieter than Emily remembers. The bond is still there, and Emily realises their friendship might keep her together, but there are reasons why the women fell out of touch. Secrets that have lain dormant for decades start to surface, and then one of the women discovers a betrayal so big, it could turn each of their lives upside down. It’s always those we’re closest to who have the power to tear us apart. Can friendship give Emily and her friends the strength to survive a devastating shock, or are some things unforgiveable? Full of truths about friendship, marriage, and the relationships that define us, Her Best Friend’s Secret is a powerful, relatable and emotionally gripping novel for fans of Jojo Moyes, Diane Chamberlain, and The Silent Wife. Anna had a brush with ‘fame’ as a magician’s assistant back in 1977. She later decided that being sawn in half by her magical performing father, at barely 6 months old, was too submissive a role. She vowed to channel the trauma in to something much more pro-actively creative. Having failed at acting, singing and professional murder mystery parties (she was ALWAYs the one to die! ), she fell to something much more solitary: writing. How To Mend a Broken Heart was her first novel and her life was not on the line in order to write that or her second: The Lost Wife. Anna lives on a dairy farm in Cornwall with her two children, her husband, and her ex-racing greyhound, Olive Dog.